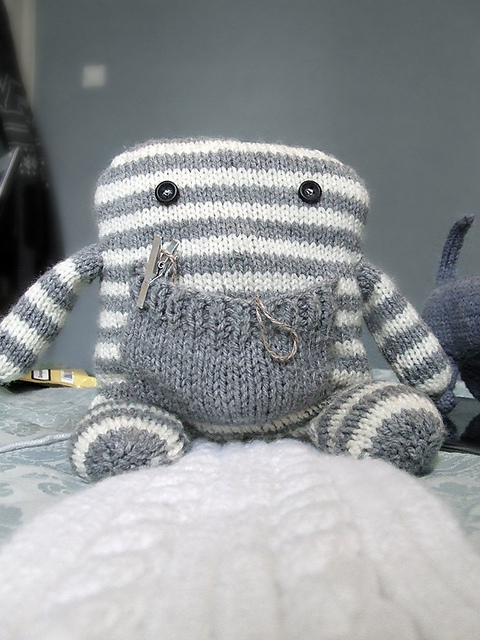 This is Pip - The pocket monster, made from Jenny Watson BabySoft, knitted by Matt Hubbard, an up and coming knitwear designer - keep an eye out for his book. Here are some flatties made from EcoAran (Cotton) from Debbie Bliss. Look at Dunk the Punk! 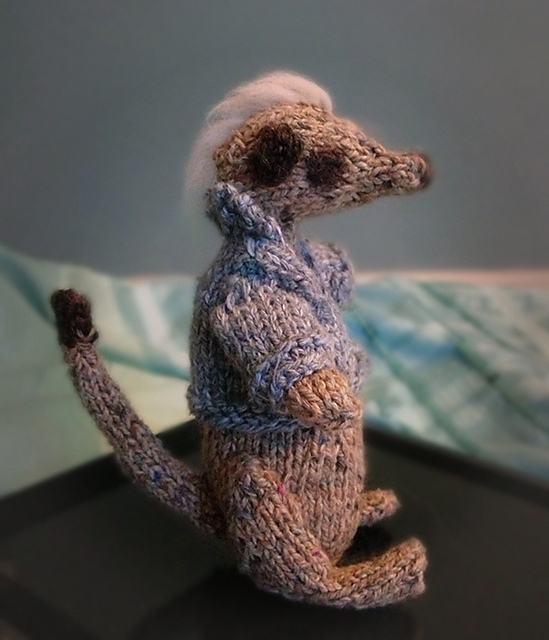 Meerkat crafted using Rowan Revive yarn. 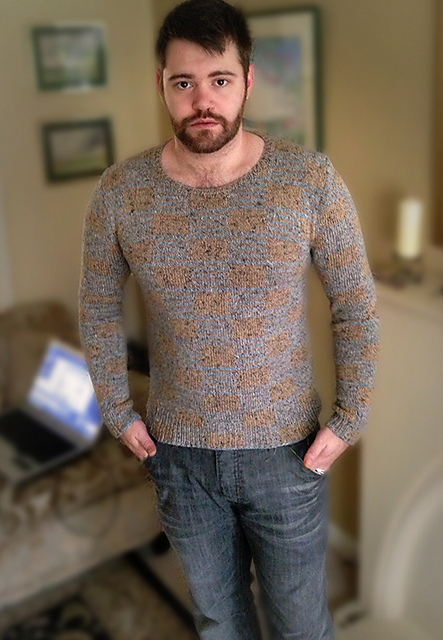 Intarsia sweater knitted by Matt Hubbard in Rowan Revive. Top down raglan in Rowan Creative Linen. 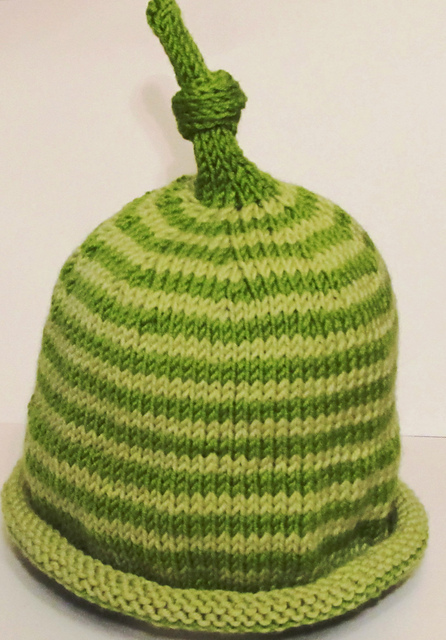 Woolly hat from Debbie Bliss Babycashmerino book 2 in Baby Cashmerino yarn. 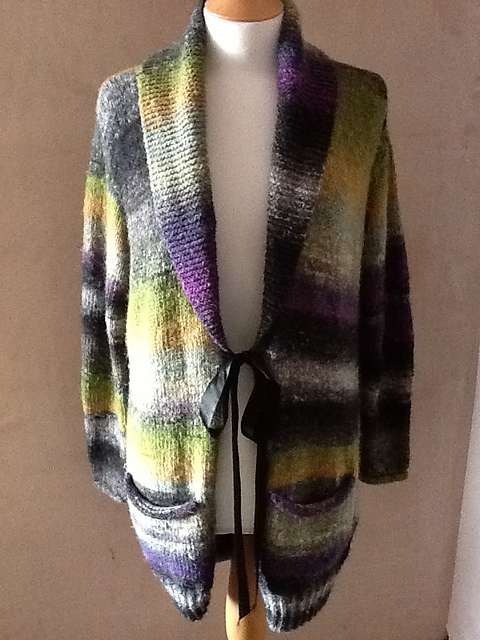 Debbie Bliss Turban - Spring/Summer 2013 magazine knitted in Noro Silk Garden. 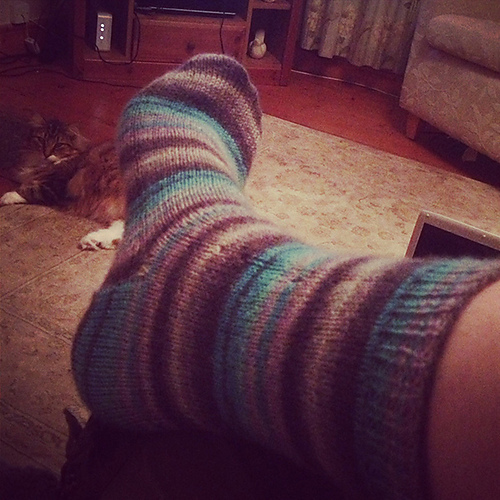 These lovely baby booties knitted by Alison Semeonoff in Baby Cashmerino. Aren't they cute? 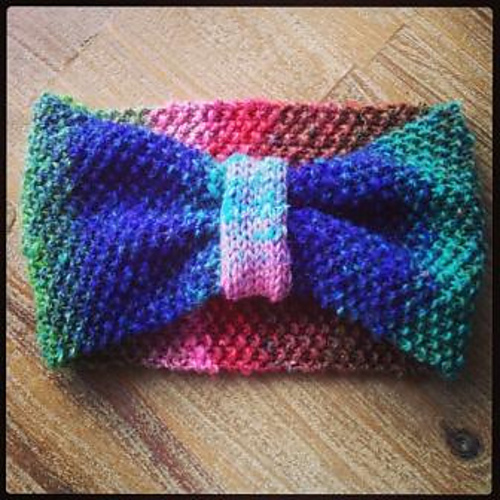 Email your knit pics to wendy@abitwoolly.co.uk and we'll add them.